FAQ - WHAT WE DO DURING THE WINTER. "But what happens during the winter?" Answer? A lot of hard work. The winter period when the Museum is closed to the public still sees much activity on the part of the volunteers and staff. We don't just pack up and go home after we've said good-bye to Father Christmas and then reappear at the beginning of the new season expecting everything to have magically painted and repaired itself. Far from it! Major projects are underatken once the Museum closes to the public. 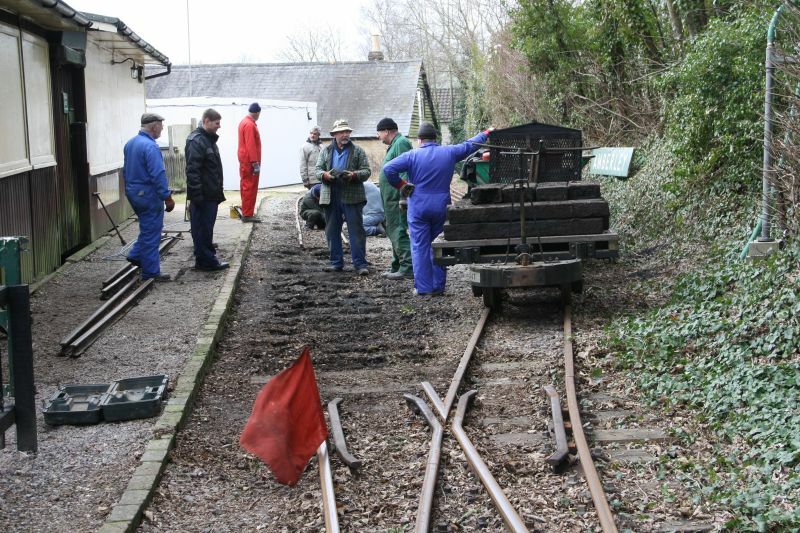 Without these, the fabric of the railway would gradually deteriorate to the extent that we could not let you, our valuable visitors, ride on our railway. 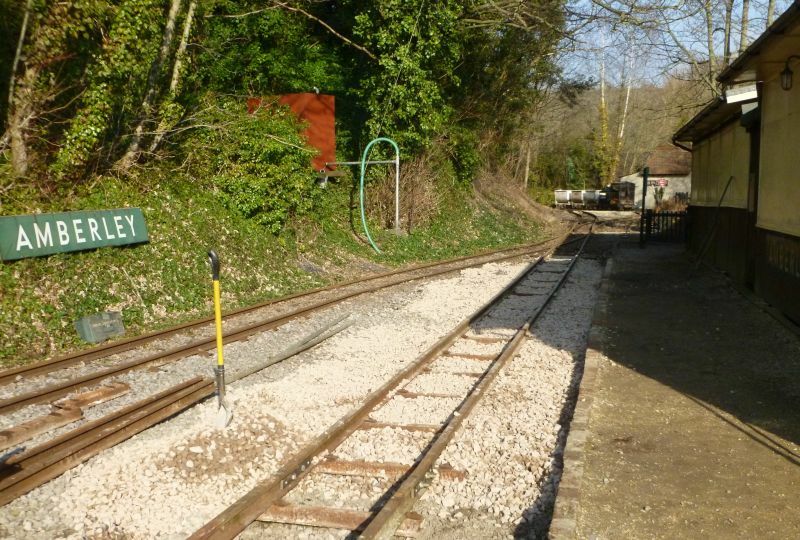 Over the past two winters we have relaid the trackwork at Amberley Station (ours, not the Big Railway!) 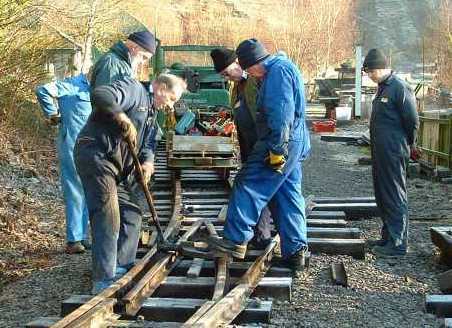 (2012) and then rebuilt the platform to match the new track. We took the old track up. 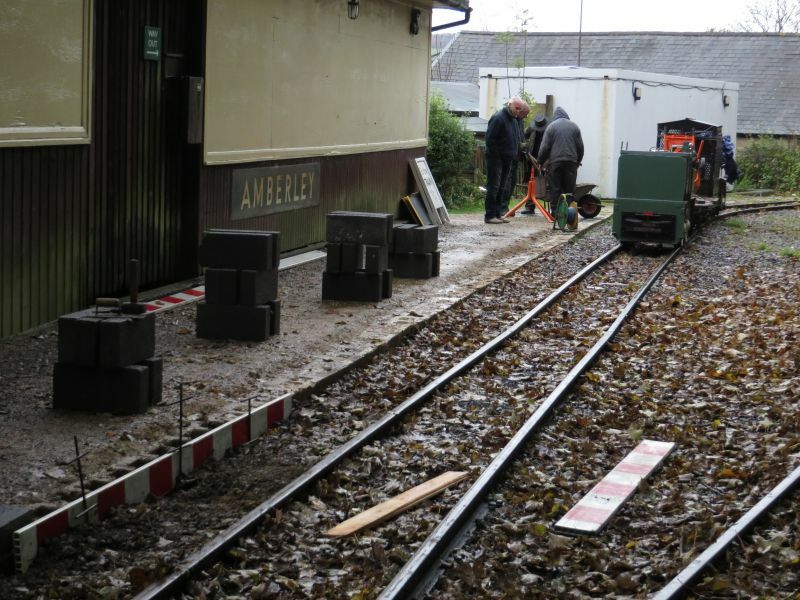 Then we laid the new track and ballast ready for the trains. You can read the full story in the here. 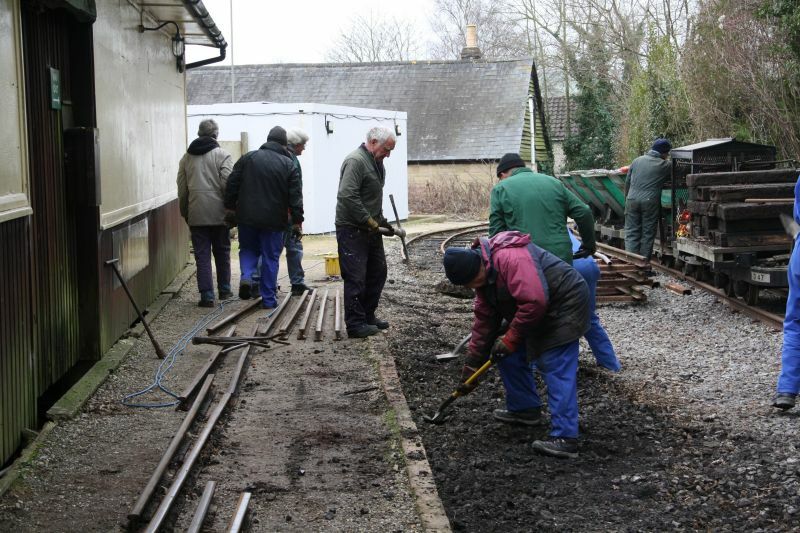 "... with a little help from The Friends ..."
Our major civil engineering task for winter 2013/14 was the rebuilding and raising of the platform at Amberley Station to match the previously relaid track. The old brick edging was removed. 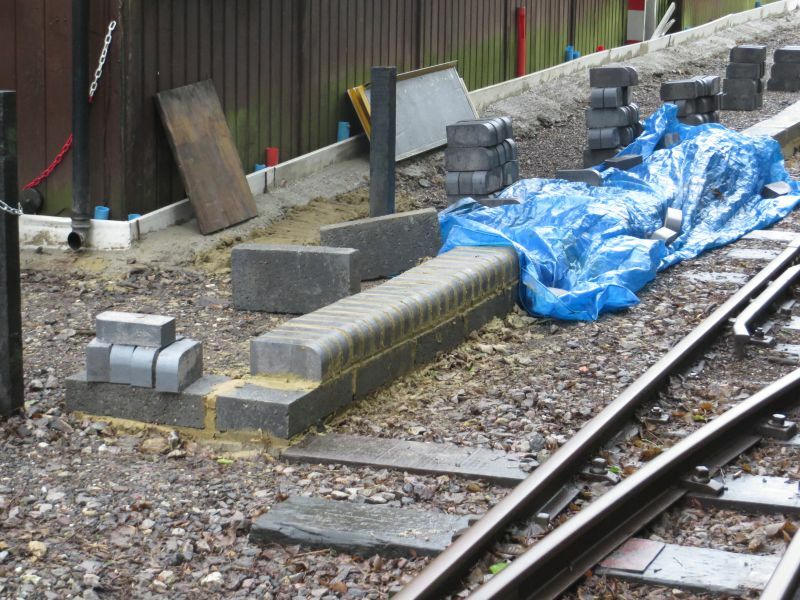 The new platform edge was then cemented in place. 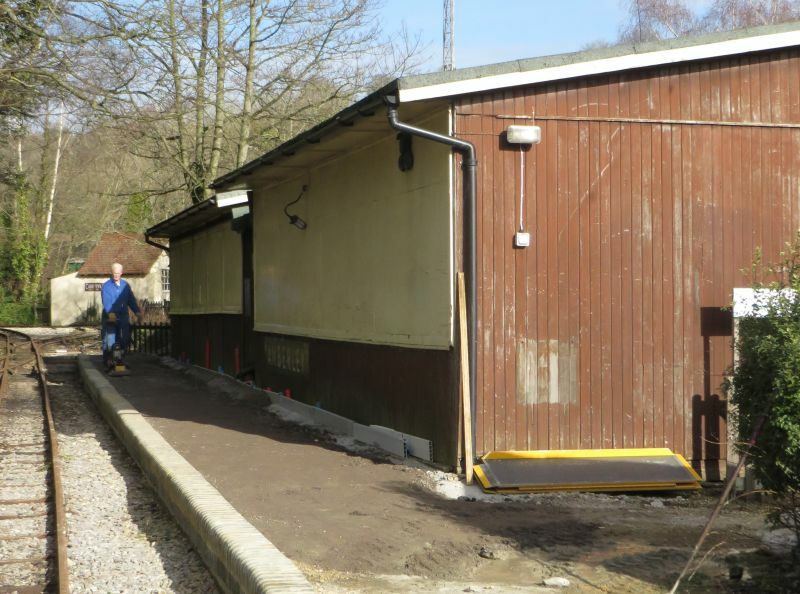 Then the platform itself was backfilled and surfaced. can still be viewed here.